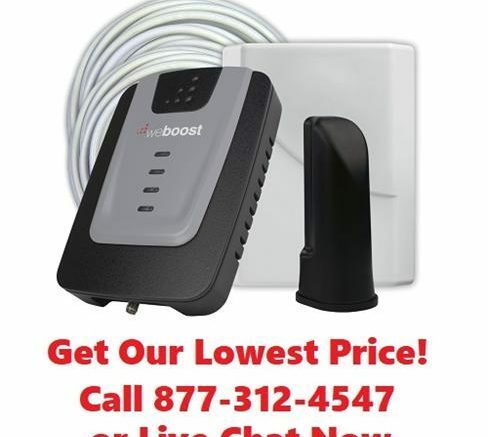 This is one of our most popular products… theweBoost Home 4G cellular signal booster. It’s the perfect solution to the problem of working at home or in an office with really bad cell reception, because it boosts the signal that it gets very effectively. You may have also seen your cell provider advertise something called a “microcell.” It sounds like it does the same thing. So what’s the difference? First of all there isn’t a “government standard” or anything that regulates the use of the term, but there are some definitions that fit the bill. We’ll tell you about those. A microcell connects to a phone line or internet line, while a cell booster doesn’t. See, a cell tower relays your calls to the regular old phone system, and so it has to be connected to a phone line to do that. Sometimes it’s a microwave relay, but a cell tower is always connected to a phone line somehow. It’s the same with a microcell. A microcell uses your home phone line or internet connection to relay calls, and it acts like a tiny cell tower within your home. You can use a microcell where there is no cell service whatsoever and it will create cell service. On the other hand, a booster doesn’t rely on a cell tower. It amplifies the radio signal from a cell tower and retransmits it all over your house. It also takes the signal from your phone and retransmits it to a cell tower. Because of this, a booster can’t create cell service where there isn’t any. A booster will still work even if you have no phone or internet service, as long as it has AC power. Unless you are really in the middle of nowhere, a booster is a better bet because it’s not relying on any other technology to make it work. Luckily you can find just the one you’re looking for at Solid Signal.